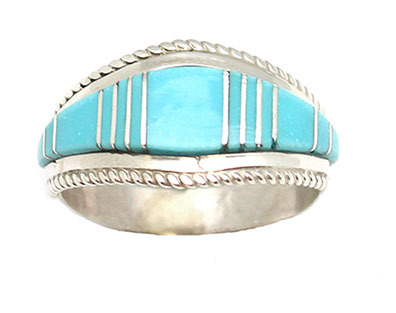 This sterling silver men's ring is inlaid with sections of turquoise with silver dividers and has a twist wire border. It measures approximately 1/2" wide at top and tapers down. 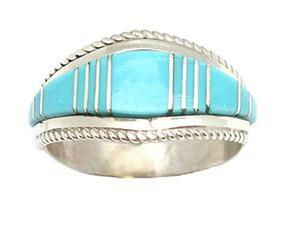 Native handmade by Zuni artisan Deirdre Luna. Currently available in size 10, 11 or 12. Choose when ordering.